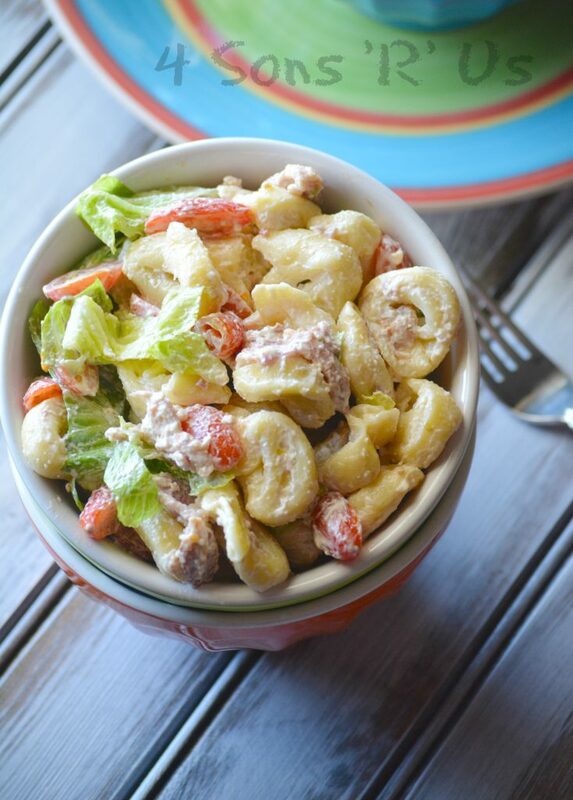 Fresh cooked tortellini and diced ham are tossed in a rich and creamy alfredo sauce. 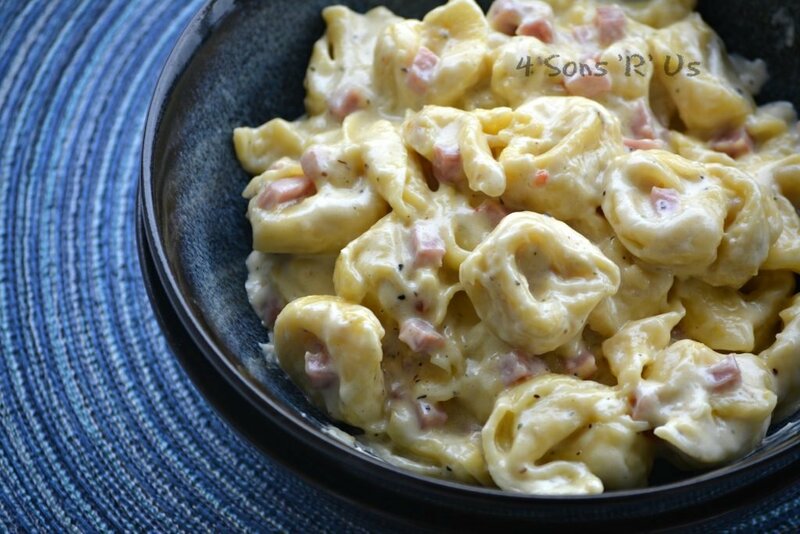 Seasoned with an Italian dressing mix, this Italian Alfredo Tortellini with Ham is a perfect easy, quick meal. Sunday was a great day here in Va. It was a balmy 73 degrees. The Sun was shining. We spent the day outside just soaking it all in, with good reason. Monday morning brought us 5 inches of snow, literally dumped on us in just a few short hours. It was 8 degrees last night. 8! Baby, it’s cold outside! 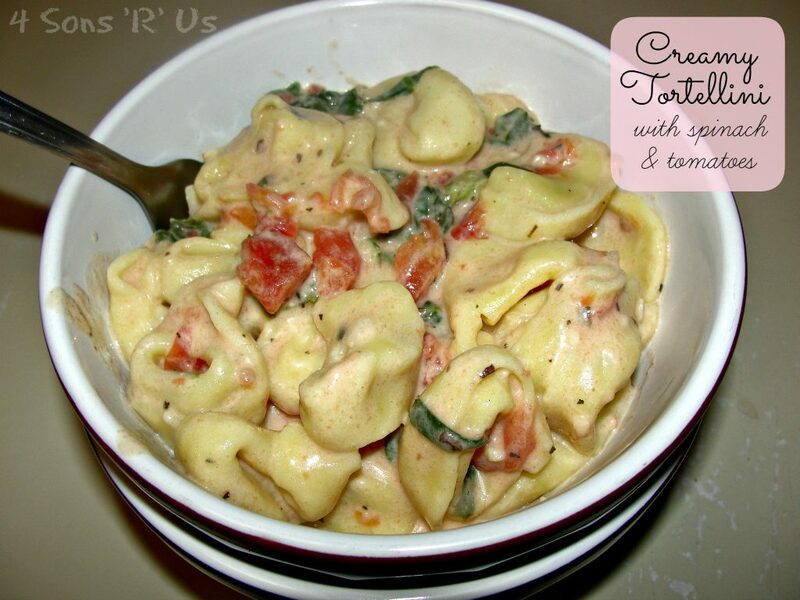 But today the Sons and I are staying warm with this cozy tortellini for lunch. It’s quick, easy, and oh-so creamy. And cheesy. We can’t forget the cheese. It’s basically one of the most perfect things to serve on a Snow Day. We’re making sure to get in some of our Winter favorites now, since Spring, believe it or not, is right around the corner. Stay warm and enjoy this last bit of Winter. Good hot food, and steaming mug of hot chocolate will help. Just remember, while you may find yourself, like me, complaining about the cold now and are so excited for Spring’s arrival, that it will only be a few more months and we will all be griping again. This time about, and trying to find a way to beat, the Summer heat. It’s quick, easy, and oh-so creamy. 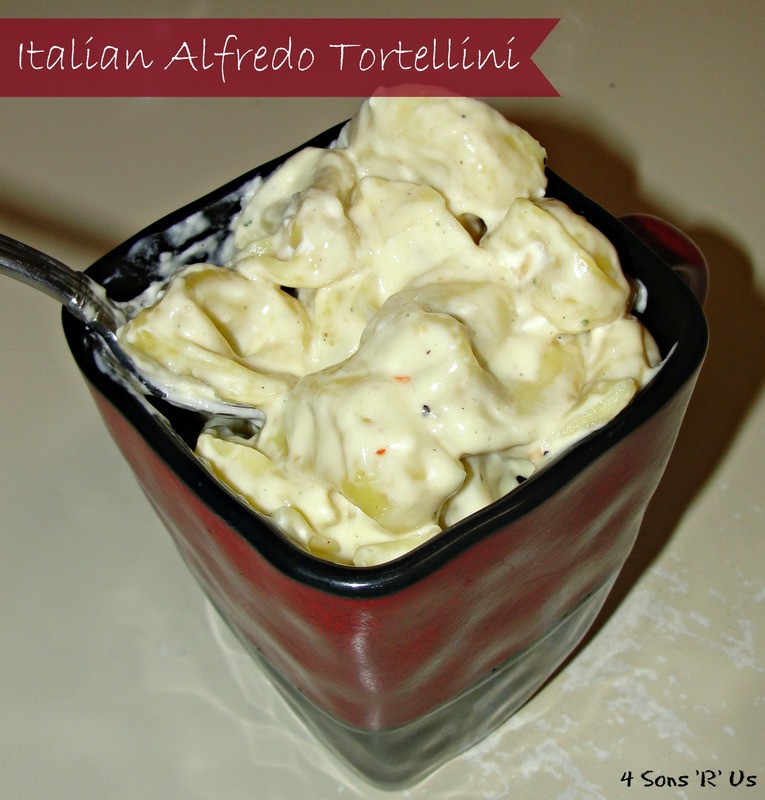 This Italian Alfredo Tortellini with Ham makes a yummy lunch or dinner. 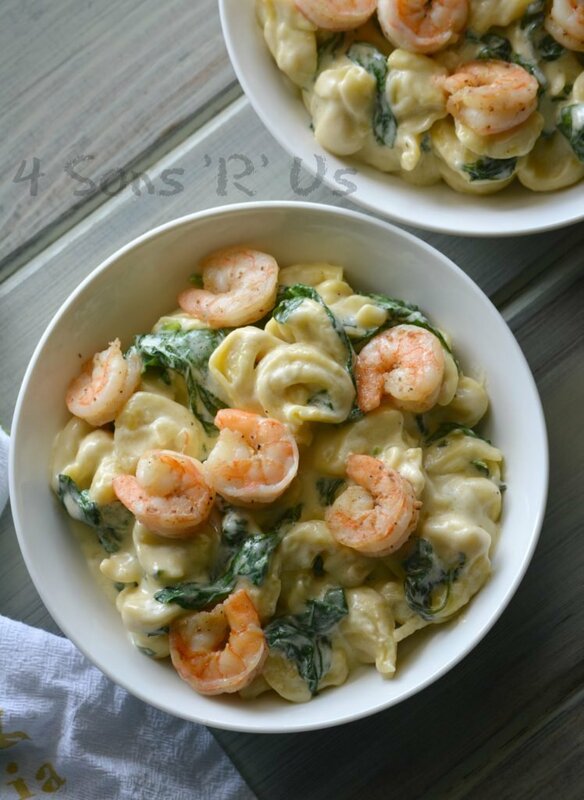 It’s perfect for busy weeknights, or even on lazy days when you need to serve a crowd. 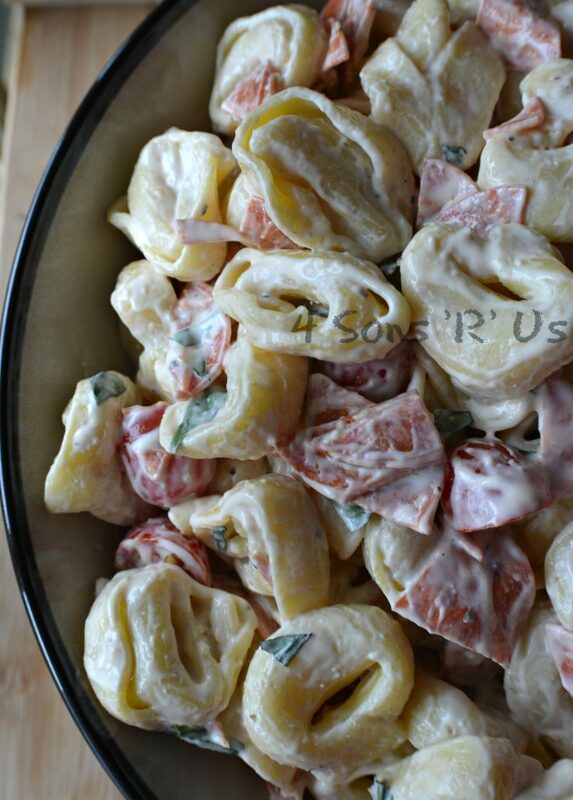 However you choose to serve it this Italian Alfredo Tortellini With Ham is a simple meal that’s seasoned to perfection. 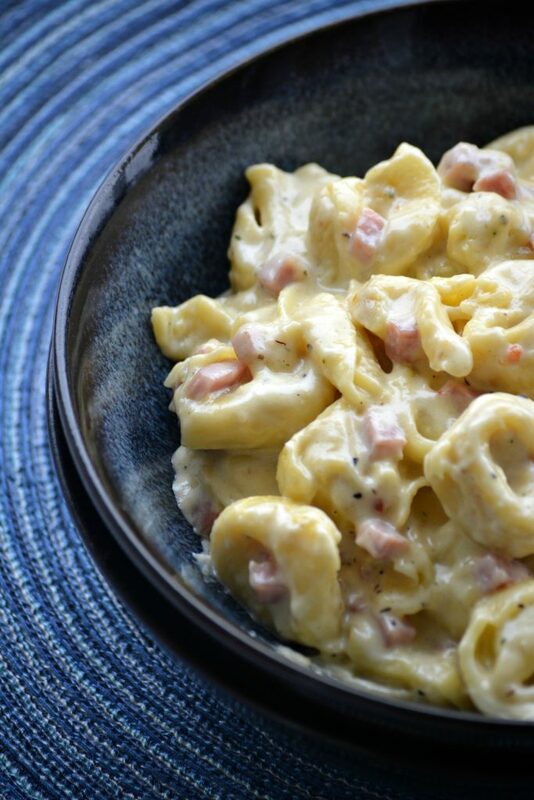 So simple, so easy, and just amazingly creamy, cheese tortellini and cubed ham are smothered in a homemade, seasoned Alfredo sauce. Add the tortellini to a large pot of boiling salted water and let them cook until they're all floating and done, or for about 8 to 10 minutes. While the tortellini cooks, heat a large sauce pan over medium heat. Add the cream cheese, butter, soup, Italian dressing, and milk and stir, continuing until the ingredients have come together and the sauce is smooth. Add the ham and stir to fully incorporate it into the sauce. When the tortellini are cooked, drain them, and then stir them into the Alfredo sauce, gently just until they're completely coated. Serve warm. I JUST made ham and have been thinking about the leftovers! You must have read my mind! Happy Throwback Thursday!! It is sold near the salad dressings, in packets. It’s a dry mix in packets to mix up your own. The cream of soup is in the soup aisle and it’s a condensed soup. Hope that helps!